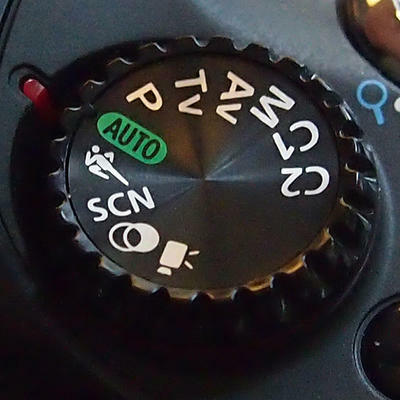 In this edition of the world renowned Mastering Camera Controls series, we’re going to focus on one of the most neglected camera controls in the consumer photography world: The Mode Dial. I’m here to tell you that there’s nothing to fear—the Mode Dial is your friend. Think of the mode dial as your Starship Enterprise command center and you’re Captain Picard. You have the power! Most Mode dials on semi-advanced cameras all the way up to professional DSLRs share many of the same settings, so I’m going to give a general rundown of the most popular ones. There’s no reason to keep that dial superglued to the friendly green Auto setting—let’s adventure into the phantasmagorical forests of advanced photography. Note: I recommend reading Mastering Camera Controls: Vol. 1 and Mastering Camera Controls Vol. 2 to understand some terms used in this edition. We’ll start you off easy. Yes, the Auto setting on your camera will determine the overall scene using its intuitive electronic detectors like auto focus and exposure metering. The theory here is to let the shooter sit back and let the camera do all the work. In many situations, Auto is all you need, especially on a point-and-shoot. However, the camera’s potential is significantly stifled in Auto mode. You’ll notice that menus are whittled down to only a few basic options like Image Quality and Redeye Reduction, and the camera will draw upon Scene modes to get the job done. 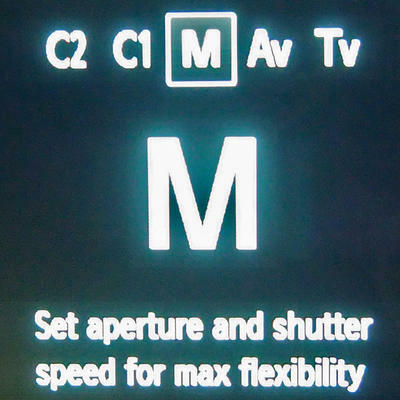 If you’re ready to transcend Auto mode, read on. Scene Mode is the next logical step up from Auto mode. Here, the shooter selects from the camera’s library of predefined camera settings that are conducive to particular shooting environments. For instance, Foliage mode boosts color saturation slightly to emphasize the colors of Fall. Snow mode will make the White Balance warmer so as not to wash out images of winter wonderlands. Fireworks mode lowers the Shutter Speed to make light trails in the sky, but requires a tripod. Nevertheless, Scene modes are just packaged combinations of popular camera setting configurations used by advanced shooters, but they aren’t always accurate. 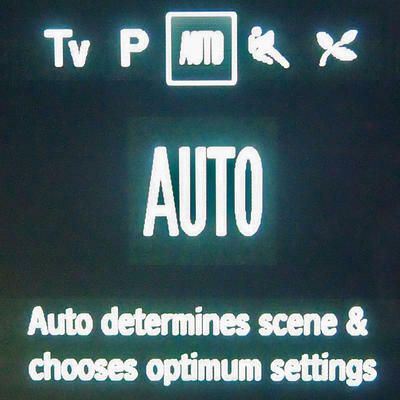 Some Scene modes like Sports and Landscape even get their own places on the Mode dial on certain cameras. Program AE (Auto Exposure) is one of my favorite modes for typical outdoor shooting. 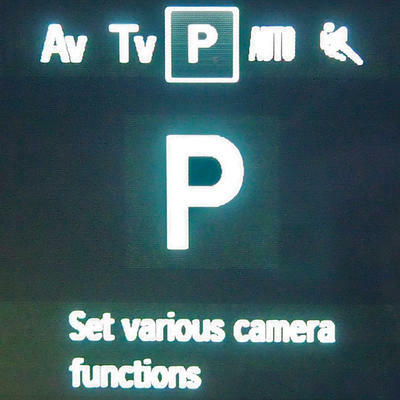 In Program AE mode, most of the camera’s controls and functions are available. Here we can set the ISO speed (the higher the ISO, the higher the noise, or grain but better lowlight sensitivity). We also have Exposure Compensation, which is a quick exposure adjustment that brightens or darkens the images in step increments. Exposure Compensation enlists the camera to make minor Shutter Speed/Aperture adjustments to achieve the brighter or darker steps. Manual Focus is usually available in Program AE mode, as well as any Bracketing, Color, White Balance, Flash, Metering (portion of the screen to base exposure off of) and other camera adjustments. Think of Program AE as Manual mode without Shutter Speed and Aperture Control. Take everything I said about Program AE and add Shutter Speed control. In Shutter Priority mode, the camera allows the shooter to adjust the Shutter Speed and automatically adjusts the aperture to provide an exposure that is suitable for the scene. The problem with Shutter Priority is that the lower the shutter speed, the wider the camera will set the aperture, so a tripod will be needed. On the other hand, Shutter Priority is great for sports photography because it allows instant adjustment of faster shutter speeds to catch quick action. For the sake of speed, Shutter Priority is a great mode for documenting high school hockey games or fast-moving wildlife creatures like gazelles. 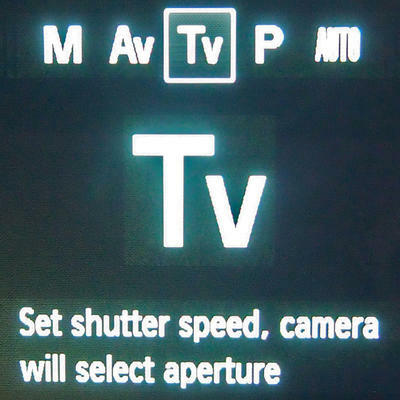 Note: Canon uses TV to signify Shutter Priority mode while other manufacturers use S on the Mode Dial. 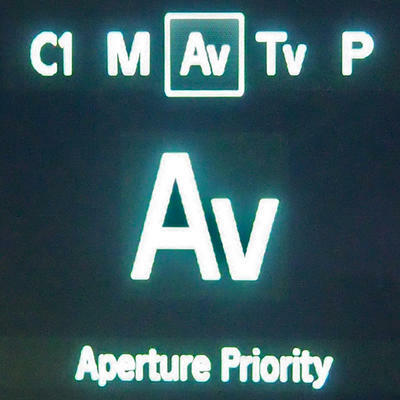 Aperture Priority is the exact opposite. The shooter can adjust the Aperture and the camera will adjust the Shutter Speed to match it, based on the exposure in the scene. So if you want to create depth and have everything in focus in your shot, then shoot the aperture up high. If you want to focus on a particular portion of the scene within the depth of field and render the rest of the image blurry, then dial down the Aperture to a lower F stop. Note: It’s worth mentioning here that some consumer cameras prohibit the use of ISO in Aperture and Shutter Priority modes. This is to compensate for lack of exposure due to more extreme Shutter or Aperture adjustments. Yes, the big Kahuna—Manual mode. In Manual Town, anything goes, all bets are off and everything is no holds barred. 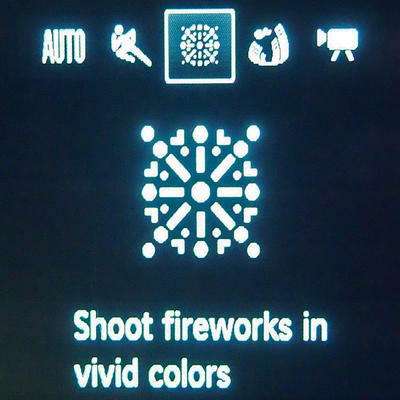 Manual mode offers all of the adjustments of Program AE, but adds independent Shutter Speed and Aperture control. You do all the work! The good thing about most Manual modes is that they are accompanied by a digital light meter to show you when your image is properly exposed. I use Manual mode when I do slow Shutter Speed light painting at night or if I’m shooting at a super high Aperture. Most advanced or pro shooters use Manual mode because they have memorized Shutter/Aperture ratios and how they correspond with certain lenses. I recommend working your way up through the ranks before tackling Manual Mode. Usually after that foreboding “M” on the Mode dial, you’ll be greeted by a C1 and/or C2. These are Custom modes. You can manually configure whatever setup you want and save it for later. So if you shoot a lot of portraits, you can set the Aperture low, ISO low and Shutter Speed higher, then save those settings in C1. 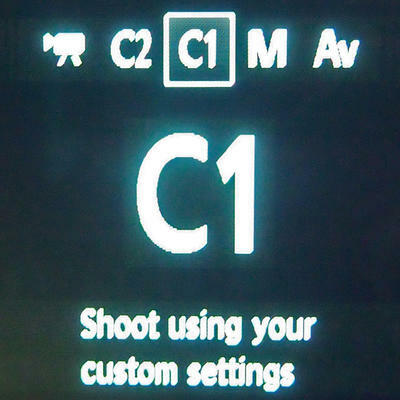 Every time you go to shoot portraits, all you have to do is flick on over to C1 and your settings are waiting for you. Custom modes can be highly convenient and offer the same set of controls found in Manual mode. Paparazzi use Custom modes like it’s their birthdays on nearly every shoot. That wraps up this addition of Mastering Camera Controls. Be sure to leave any questions, comments or concerns in the comment section below. Try to start at Auto mode and work your way up chronologically through this list of controls. And remember, check out my other Camera Controls stories for more in-depth camera information.